Grits P-40 to P-600 are full resin bonded silicon carbide paper for dry operations with rotary sanding machines. 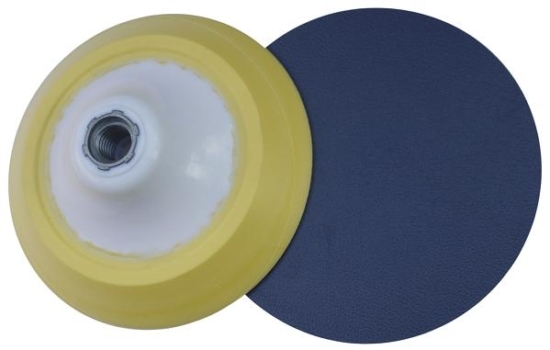 Grits P-400w to P-1200w are full resin bonded silicon carbide paper with latex closed structure for wet or dry applications. 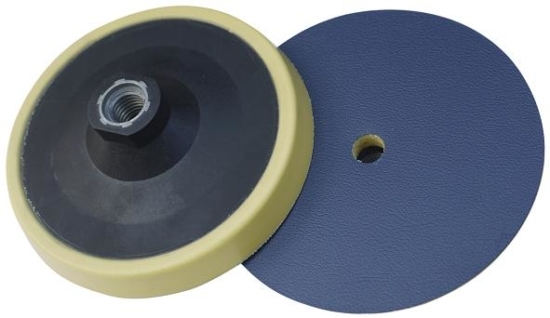 Suitable for use on marble, fibre glass, plastic materials and glass. Discounts are available for bulk purchases in units of 4+ boxes. Please phone or email for volume prices. The “starter set” is a 120 disc set made up of 10 pads of each grit. Alternatiely let us know what you’d like and we’ll put together a 120 piece set for you. 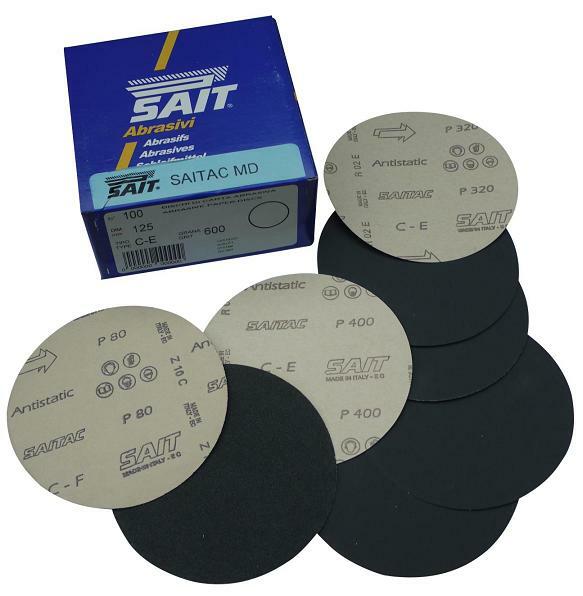 These plain silicon carbide discs are also available in the following sizes. These are produced to order and will take approx a week to arrive with us from date of order. The minimum order quantity is 100 pieces per grit. 115mm, 150mm, 150x8mm, 178x22mm, 180mm, 200mm, 230mm, 300mm, 350mm, 400mm, 430mm, 450mm. Please call or email us your requirements for these alternative sizes.